October is Dysautonomia Awareness month. Many people have not even seen the word “dysautonomia” before, let alone know what it means, so while there are a lot of other causes worthy of awareness and support, I think this deserves extra attention. Plus, for how few people are aware of dysautonomia in the general public and even the medical field, it is actually not a very rare condition. In fact, over 70 million people worldwide are affected with dysautonomia!!! So, many people are fighting the condition without the appropriate support or even recognition of what they are dealing with. I also happen to have a few amazing women in my life who are living with dysautonomia in the form of Postural Orthostatic Tachycardia Syndrome (POTS), so this is an extra special cause for me. What is dysautonomia? 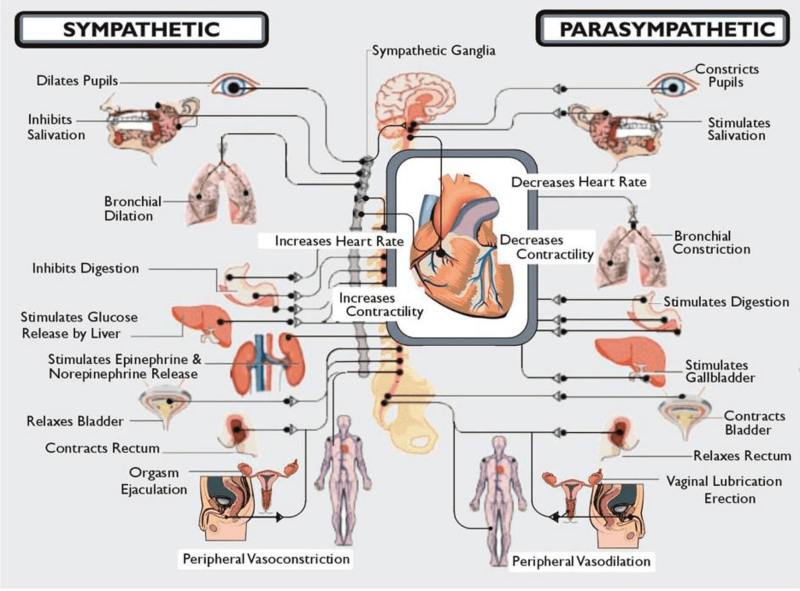 Dysautonomia is a general term that describes dysfunction of the Autonomic Nervous System. The Autonomic Nervous System is responsible for the processes in our body that happen automatically, like changes in blood pressure, heart rate, digestion, temperature control, and so on. You may have heard of your body going into either “fight or flight” or “rest and digest” mode, and these are driven by the Autonomic Nervous System. Image by Dr. Aaron Vinik: Copyright (c) 2012 Vinik. When things in this system malfunction, symptoms such as unstable heart rate, altered blood pressure, lightheadedness, and fainting can occur. Dysautonomia can affect people of any age, race, or gender, but some groups are more prone to various types of the condition. Unfortunately, people with dysautonomia often go undiagnosed or are misdiagnosed for lengthy periods of time. Even with a proper diagnosis, there is no cure at this time and medical management can be a long and frustrating road too. A few of the more specific forms of dysautonomia include POTS, Neurocardiogenic Syndrome (NCS), and Multiple System Atrophy (MSA). Since I have had the most personal experience with POTS, and I will have the honor of featuring the warrior women I know with POTS, let’s look a little deeper into what that is. POTS is a syndrome that encompasses many symptoms including fatigue, lightheadedness, heart palpitations, exercise intolerance, nausea, concentration difficulties, fainting, cold/pain/numbness in the extremities, shortness of breath, gastric issues, and more. While it can affect anybody, the vast majority of those affected are women in child bearing age, 15-50. The hallmark sign of POTS is an increase in heart rate of 30 beats per minute or more (or >120) within the first 10 minutes of standing. And while people with POTS may present with similar signs and symptoms, there are many possible underlying causes, making treatment and management difficult. Along with medicinal interventions, people with POTS often have to make dramatic changes in their daily habits. For example, they are often encouraged to drink 2-3 liters of fluid a day, increase salt intake, wear compression garments, eat a healthy diet, and perform exercises to improve cardiovascular efficiency and the blood pumping ability of muscles primarily in the lower body. Over the month, I am excited to be able to continue sharing information about dysautonomia, stories from people living with POTS, and other tidbits to help spread the word of this condition. 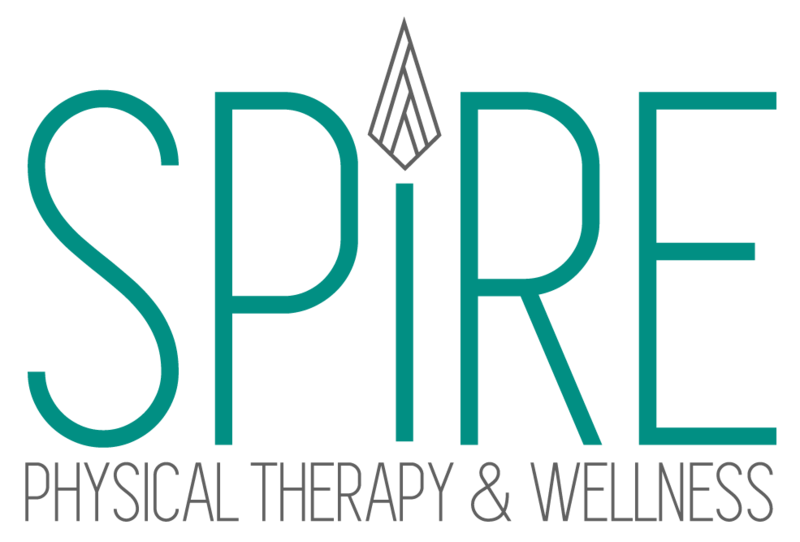 I will also be hosting another Pilates for a Purpose event, this time raising funds for Dysautonomia International. If you’d like to donate now or look up more information, I encourage you to check out www.dysautonomiainternational.com or contact me and we will try to get your questions answered this month!